The Facial Cleansing Powder allows you to customize your cleansing routine based on your skin's needs and personal preference. The Facial Cleansing Powder has an exquisite aroma leaving you with an overall sense of well-being. 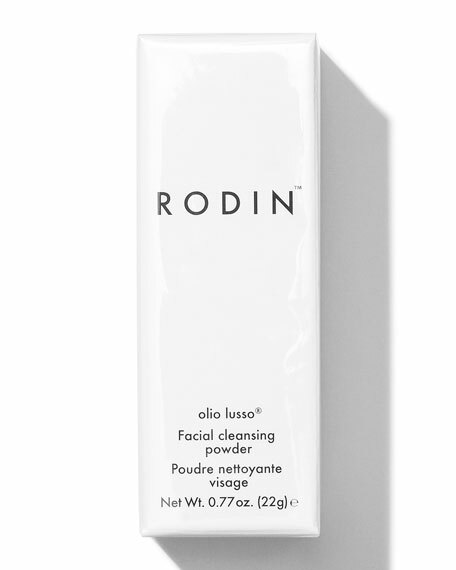 The Facial Cleansing Powder is blended with RODIN olio lusso's signature jasmine and neroli, known for softening and nourishing the skin. It is combined with rice bran extract, which is rich in Vitamins B and E, and red algae extract, leaving your face feeling fresh, vibrant, and smooth. It is the ideal skin prep for those using facial oil. 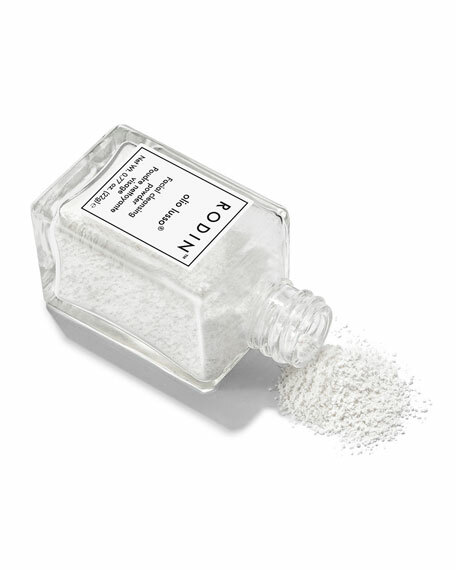 As an exfoliator: Pour a small amount of the powder into the palm of your hand. Add a small amount of warm water for a grainier cleanse that gently exfoliates. Gently massage onto face. As a cleanser: Pour a small amount of the powder into the palm of your hand. Add a more generous amount of warm water for a foamy, smoother cleanse. Gently massage onto face. Rinse with water. 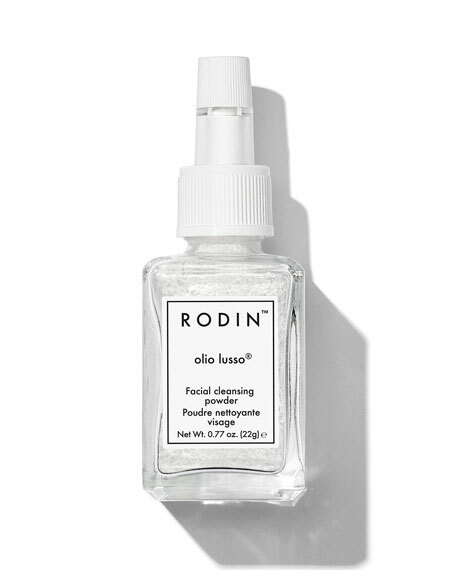 Finish by adding 2-3 drops of RODIN olio lusso face oil. For in-store inquiries, use sku #2353404.